How can a healing space created in a virtual world strengthen the psychological health of returning veterans? Virtual Ability welcomes Dr. Jacquelyn Ford Morie, Ph.D., founder and chief scientist at All These Worlds, LLC, to the 2014 Mental Health Symposium, held at The Sojourner Auditorium in Second Life®. With degrees in both art and computer science, Dr. Morie has twenty-five years of experience in developing innovative techniques for rich virtual reality (VR) environments. During her tenure as a Senior Research Scientist at the University of Southern California’s Institute for Creative Technologies where she created novel VR tele-healthcare activities using her deep understanding of art, computer animation and human behavior to enhance patient engagement. Dr. Morie also has worked in the animation and special effects industries and prior to that, worked at the University of Southern Florida’s Institute for Simulation and Training, where she developed techniques to make VR environments more immersive and emotionally evocative. Dr. Morie also researches the effects avatars have on the people who use them. Her recently formed company, All These Worlds, LLC serves clients such as NASA and the Army Medical Command at Fort Sam Houston. 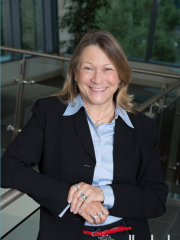 In her presentation entitled “A Healing Space built with Veterans in Mind: Virtual Worlds and Psychological Health,” Dr. Morie will discuss how virtual worlds can benefit healing, support and physical and psychological health. Between 2009 and 2013, All These Worlds, LLC built four regions in Second Life® to support a healing environment for veterans returning from the recent US conflicts in the mid-East. As part of the research, the region design included activities to help with stress relief, including a running path that one runs with their avatar via a deep even-breathing technique, and a fully developed series of mindfulness classes. The researchers are halfway through a longitudinal study on the effectiveness of the in-world mindfulness, and a short study confirmed the effectiveness of the running activity for relaxation. These Second Life® regions are known as Chicoma Island and can be visited as part of Dr. Morie’s presentation. View the website of All These Worlds, LLC.